Queen Mathilde of Belgium attend the presentation of the project 'TuVeuxTest?! 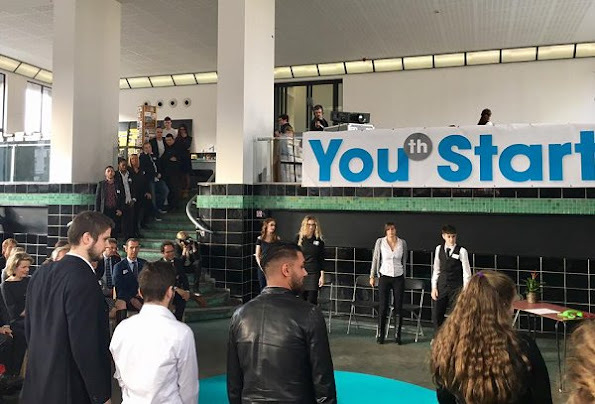 ', a multidisciplinary project of YouthStart for young people looking for of job at the Wiels Contemporary Art Centre on November 10, 2016 in Brussels. Outfit in dark colors,yet far from being boring. I like the design, and the jewels go well with it. Patent leathers during day time?? ?